If you’ve ever heard that debate over Thanksgiving turkey, you know about B.C.’s age-old rural/urban divide. It’s not unique to B.C. You can hear different versions of this debate right across Canada. Those conversations however have taken on greater significance because how rural and urban people choose their governments is suddenly up for a vote. What’s also not unique to B.C. is the effort by cynical political operatives to pit urban and rural residents against each other. We saw that last week as anti-Pro Rep campaigners unleashed a wave of advertising claiming rural people would experience no representation whatsoever should they choose to ditch First Past the Post. Before moving to small-town B.C., my wife and I talked through the tradeoffs. We knew our son wouldn’t have the same access to health and education services my older children enjoyed growing up in the big smoke. The flip side is the kid can walk out and catch a salmon off the beach, or ride his bike into the hills out back. Deciding which electoral reform system to go with is a bit like that as well. 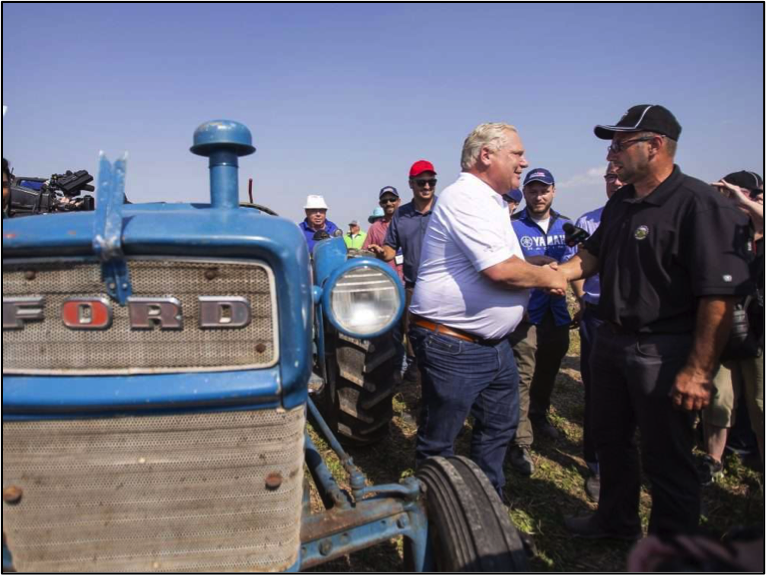 We want to send people into government who understand the importance of both the urban and rural experience — the differences, the tradeoffs and the things we have in common. Not everything the No side says is a lie: For example it is challenging to design an electoral system that represents both urban and rural voters fairly. But the current system does a pretty miserable job. And thanks to safe seats, hyper-partisanship and whipped votes, it often doesn’t matter if you can get face time with your MLA — their job is to vote the party line, local constituents be damned. Yes, our democracy will look different under any system of Pro Rep. Riding boundaries will change and so will the ballot. But that doesn’t mean Elections BC isn’t up to the task of designing a fair process or your MLA somehow disappears into a black box. You can read about the three different versions of Pro Rep on offer here. As a rural voter living in one of B.C.’s 20 largest ridings, my preferred choice is “Rural Urban” Pro Rep. I like the fact that it’s a blend of two worlds. Kind of like the province I love. You might like one of the other two. Any of them would be preferable to what we have now. 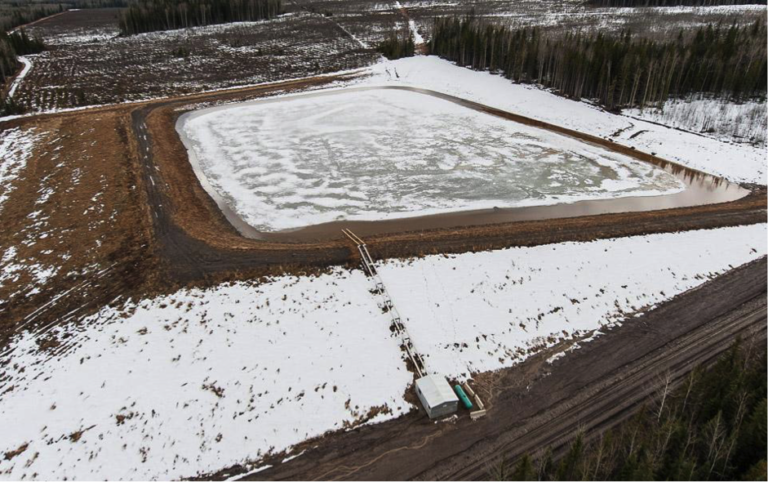 An unauthorized Progress Energy dam where millions of gallons of freshwater was found impounded in early April. It is among “dozens” of unpermitted dams spread across northern BC. Photo by Garth Lenz. Under First Past the Post, the money generated from B.C.’s hard work and natural wealth has flowed to a well-connected Howe Street elite. Of course a little bit sloshes back to the political parties and lobbyists to keep the whole machine greased up. That world is where anti-reform campaigners Suzanne Anton and Bill Tieleman have spent their careers. As advocates for the status quo, they’re all too happy to serve up fear and loathing to keep their spot at the trough. Our legislature desperately needs a party willing to place a higher value on a family farm then a fracking well. Or ensure if bulk water is extracted it’s done sustainably and citizens are fairly compensated. Or if foreign controlled resource companies operate in your community they have permission and pay fair royalties. Will a party that represents rural B.C. ever win total control in Victoria? No, it won’t. 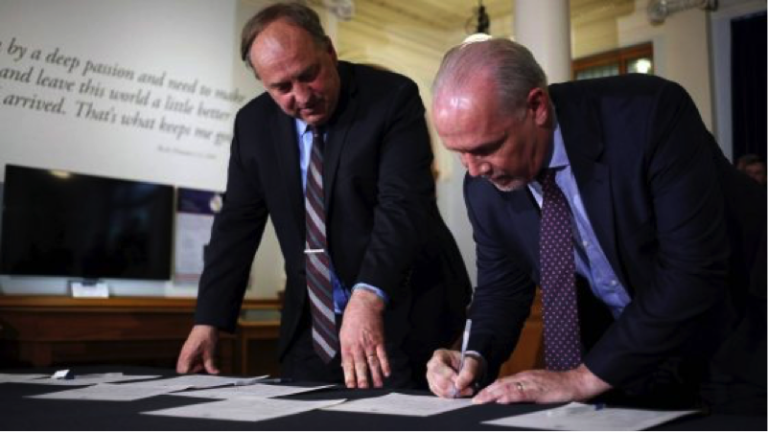 Could it serve rural British Columbians as part of a coalition with other parties that represent all the folks that make B.C. great? Absolutely. Pro Rep is a chance to start healing the divide. Let’s take that deal.